There are times when my wife really surprises me. Sometimes I'll be jabbering on about something or another, using lingo for the subject at hand that she is not all that familiar with. She's actually paying attention the whole time though sometimes I'm pretty sure she doesn't know what I am talking about. I've had a hankering for one of those old Savage 24s for a long time. 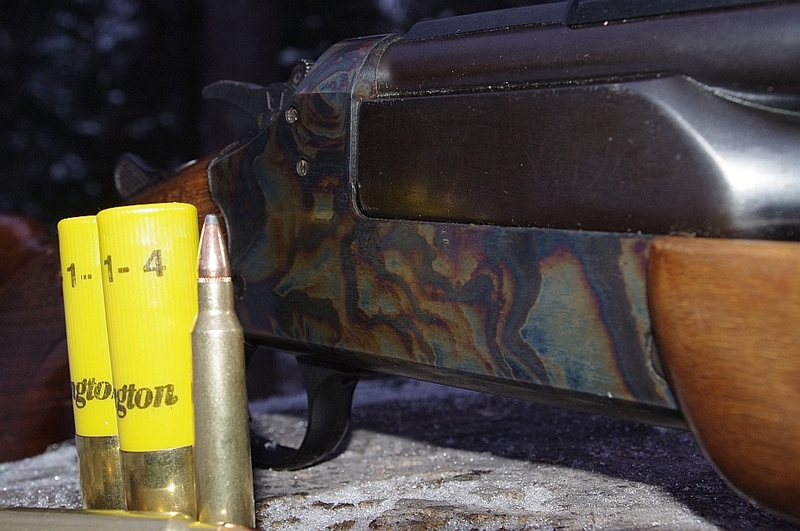 They came in a couple different models and several different calibers. 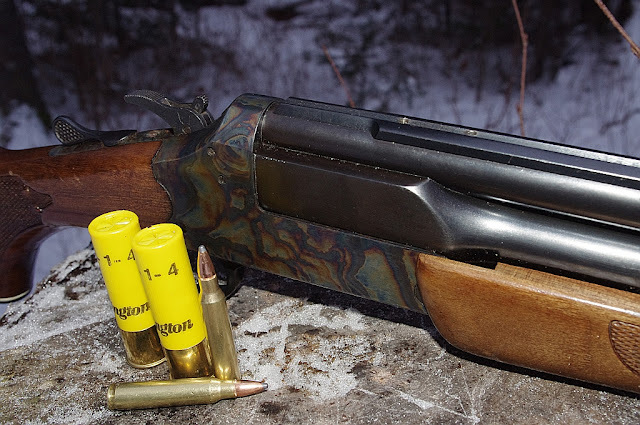 For those who don't know, the Savage 24 was a combo gun, an over under that was chambered for a rifle round in the top barrel and a shotgun in the lower barrel. There were a lot of combinations. The one I have wanted was a .223 over 20ga with a 3" chamber. The versatility of this combination is outstanding. Add to it the fact that I could use those .223 to .22 magnum case adapters and I've got a .223, a .22 mag, and the 20 ga all in one gun! Well she found one and it's an early Christmas present. Now that is fact Smythe! Sounds like both your wife and that gun are keepers! ;) Awesome present. I LOVE combo guns because of their versatility. Why carry three guns, when you can carry one. :) I like the case hardening and stock on this one. I have one in .22 mag / 20g. 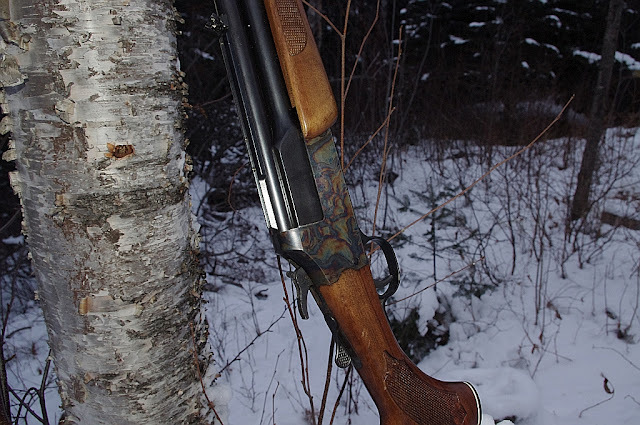 Great woods bumming gun. I carry it more often than any other gun I own.